Is now still now or has that already passed? 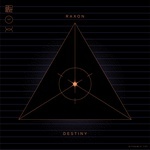 Raxon's Destiny EP is the beating rhythm of nightlife, the perpetual motion that keeps dancers on the floor for hours on end. Add a pinch of strobe light, and you have the recipe for those glorious moments where you look at your friends' grinning faces, clenching your fists, unable to believe the purity of this moment -- a moment out of time. Egypt-born, Barcelona-based DJ and producer Raxon was a resident at Audio Tonic events in Dubai and has performed all over the world, from Creamfields to Watergate to the Amsterdam Dance Event, in addition to guesting on John Digweed's radio show. 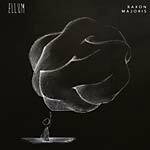 The steely and direct "Majoris" opens this 12" with driving drums and slithering synth sounds; building to a big energetic peak with plenty of effects and filters, it is futuristic and abstract and full of the sort of tension for which Ellum Audio is known. The stellar "Sin Control" is much darker and more brooding, with a paranoid lead synth pinning surrounded by spaceship sounds and whirring machines.